Q. How do I import references from my Legacy account into New RefWorks? 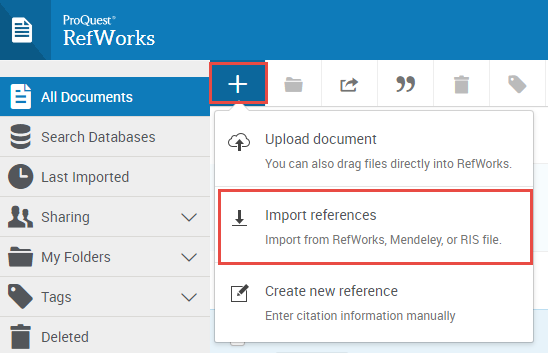 If you already have a New RefWorks account, the quickest way to bring your references across is via Import references. An instructional video is also available. If you have not yet created a New RefWorks account and are still using a legacy account, login and select the link 'Move to the newest version of RefWorks'. For more detailed instructions please refer to the article from the Proquest Support Centre.